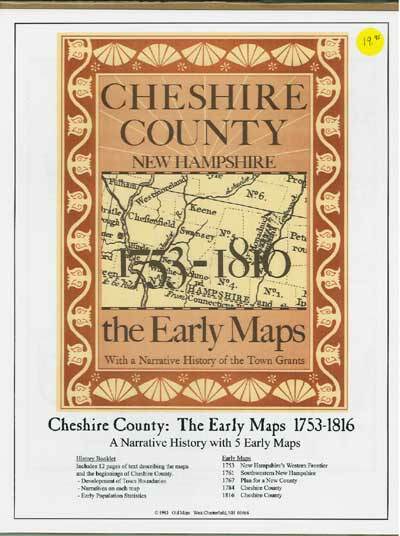 A brief history of the settlement of southwestern New Hampshire, with reproductions of parts of 5 early maps showing town boundaries and old roads. The text describes the original grants and later changes in town boundaries (with illustrations). Includes town population data and map commentaries.